Choose from 13 hotels and guest houses in Perth and Kinross. Shown below a just a selection of the hotels available. To search within an area please use the menu on the right. Glenvar Bed And Breakfast - Peaceful, warm and relaxing, Glenvar b&b is situated in the middle of Blairgowrie in Highland Perthshire. Where you can relax and feel that here is a real home away from home. Glevar is an ideal base from which you can explore the many sites of Scotland. All that you could need or want to do is in easy reach from Blairgowrie. Perhaps a romantic escape, a country trek, a whisky trail or a high adrenaline rush in various outdoor activities... Glenvar was originally opened by Jean and Robert Wilson in October 2002. It has two double rooms and one single room, all en suite and on the ground floor .All are attractively furnished and finished to a high standard. Cuil-An-Daraich Guest House - This family-run guest house is in the beautiful village of Logierait, 5 miles south of Pitlochry in the heart of Scotland. Cuil-An-Daraich Guest House has a relaxed home-from-home atmosphere and beautiful views that overlook the River Tay. All rooms are en suite, and free Wi-Fi is available. Aaron Guest House - Aaron Guest House is a small, friendly, family-run guest house very close to Perth town centre and the bus and rail stations. The guest house is easily reached from the major motorways and offers good access for onward travel to the north and south. All rooms are equipped with your comfort in mind, and the leisurely breakfast will set you up for the day, whether you are working or busy seeing the sights of Perth. 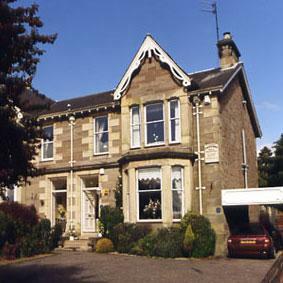 Willow House Guest House - Situated on the A9 road into Perth, Willow House Guest House is a welcoming Victorian property providing good value accommodation. The centre of Perth is a 10-minute walk away. All rooms are comfortably furnished, with modern en suite facilities and an LCD TV. An excellent inclusive full English breakfast is provided. Nearby attractions include Blair Castle and numerous golf courses. Free parking and free Wi-Fi internet access are available for guests. Wellwood House - The AA 4-star Wellwood House is a Victorian manor house set in 2 acres of quiet gardens in central Pitlochry, with stunning views of the Vale of Atholl and Ben Vrachie. Originally built around 1881, Wellwood House is surrounded by private gardens, with a stream and a pond. Red squirrels, roe deer, moorhens, and wild ducks are often seen in the gardens. Centrally situated, the Wellwood is a peaceful base from which to explore the central Highlands of Scotland. In the evenings, you can relax in the guest library, with its unique honesty bar. Wellwood House has had AA 4-star guest house status since June 2004 and Scottish Tourist Board 4-star guest house status since June 2005. Ivybank Guest House - This family run guest house rests within a large garden, offering a quiet haven within the picturesque region of Perthshire. Comfortable, clean and fresh bedrooms benefit from the Ivybank's non-smoking policy. There is free off road parking and a large garage in which to store bikes. The city of Perth is a short drive away, where you can browse the shops, relax in a pavement cafe or walk through the parks that line the River Tay. Perthshire is golfing country, with over 60 courses within an hour's drive, including Carnoustie, Gleneagles and St. Andrews. Owners Marie-Celine and Chris Dandridge offer a warm welcome to the Ivybank Guest House. The Royal Hotel - The Royal Hotel in the heart of Blairgowrie, Perthshire is centrally located on the Royal Route to Braemar and Balmoral. Enjoy a friendly and welcoming atmosphere in clean and comfortable surroundings. The Royal Hotel is located right in the centre of Blairgowrie, where you will enjoy a friendly and welcoming atmosphere in comfortable surroundings. All rooms are en suite and full breakfast is served in 'The Glens Restaurant' and is included in the rate that you pay. At lunchtime, or in the evening, you can enjoy a relaxed bar supper or a more formal dinner in the Dining Room. We offer guests the choice of standard rooms at a reduced rate or superior rooms that are located in the main house. The hotel has much to offer the visitors, with local knowledge of the many places of interest within easy driving distance of the hotel including Balmoral, Glamis Castle, Pitlochry, Dunkeld, House of Bruar and the City of Perth. If it is value and a great central location that you are looking for, then the Royal Hotel may be it. An Lochan Tormaukin - This charming country inn and restaurant is situated in delightful Glen Devon near Gleneagles and just 14 miles from Perth and Stirling. Enjoy a stay in one of the comfortable rooms as you take a break in this relaxing countryside retreat. The restaurant offers locally sourced food, with highland beef, venison, lamb, fish and shellfish all coming from local farms. There is also a good selection of locally brewed ales and whiskies for you to sample. An Lochan Tormaukin is owned and run by the McKie family who are proud of their country inn and restaurant. This charming residence offers delicious locally sourced food and the warmest of welcomes in the depths of the Perthshire countryside, yet is only an hour's drive from Glasgow and Edinburgh. 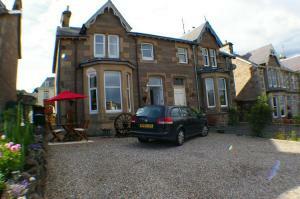 Carra Beag - Carra Beag is a beautiful Victorian villa in the centre of Pitlochry. It has panoramic views of the countryside, free private parking, free Wi-Fi and great hospitality. All en suite rooms are clean, comfy and individually styled. A hearty breakfast is included in the room rate. 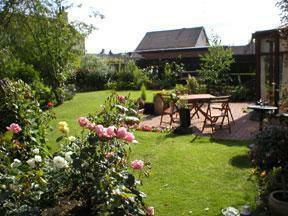 The guest house is located just above the town's main street, which you can reach from the garden. Carra Beag is away from the main noise of the town, and has south-facing terraces where you can relax in the sun. 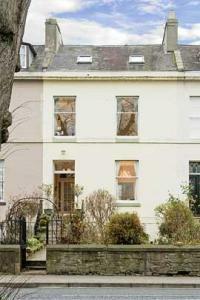 The Townhouse - This Georgian town house is situated in an attractive terrace alongside the parkland of the South Inch, and a 2 minute walk from the River Tay and the city centre. The elegant guest house combines the benefits of a central location with the peacefulness and intimacy of a rural setting. The Townhouse is situated in Perth city centre, a few minutes' walk from both the railway and bus stations and all of Perth's many attractions. The Townhouse provides elegant and comfortable en suite accommodation, with a plentiful breakfast included. Being at the heart of Scotland, Perth is the ideal location for both the tourist and business visitor alike.